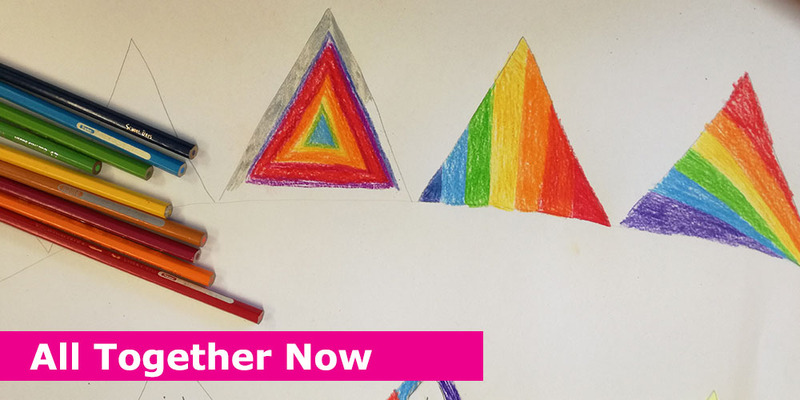 The ‘All Together Now’ programme is focused on addressing anti LGBTI+ bullying in Primary Schools in Ireland. All Together Now is composed of four lessons based in the SPHE curriculum for 5th and 6th classes in primary schools. The lessons take an equality and human rights approach to respect, inclusion and homophobic and transphobic bullying. The lesson plans for All Together Now include slides, scenarios, discussion questions and other tools for teaching pupils. Pupils are taught about types of identity-based bullying (based on the nine grounds of the Equality Acts and the DES Action Plan on Bullying.) They are also taught about bullying behaviours such as verbal, physical, cyber or social isolation. All Together Now was commissioned by BeLonG To Youth Services with funding from the Department of Education and Skills. The research took place from 2015-2016 and was led by a team from St Patrick’s College, DCU: Dr Bernie Collins; Dr Seline Keating & Prof Mark Morgan.